If you’ve read any posts on my blog recently you would have seen that I have switched our diets to clean eating. Taking it one step further, I am now trying to make sure those products we use every day are free of chemicals and other things that may be harmful. 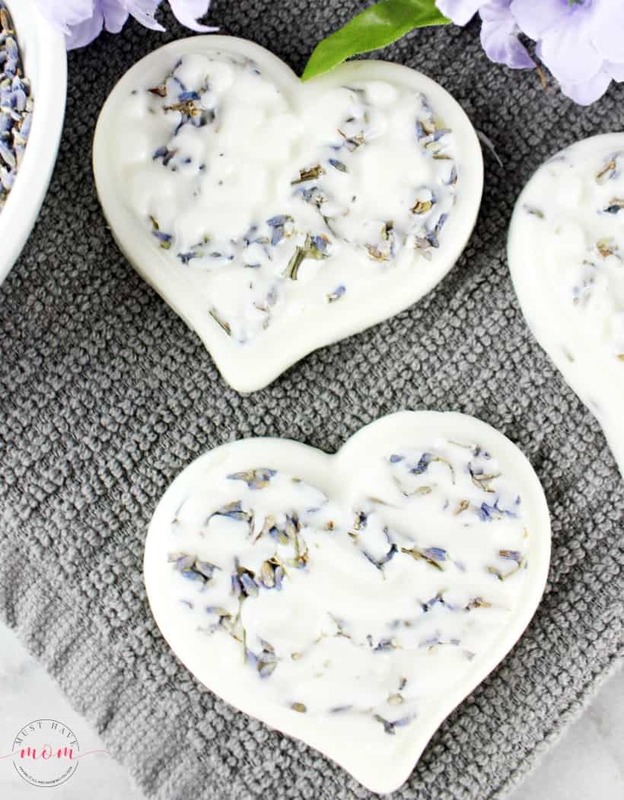 These DIY coconut oil lotion bars fit the bill and they also make a great homemade gift idea! I’ll show you how easy and inexpensive they are to make yourself! 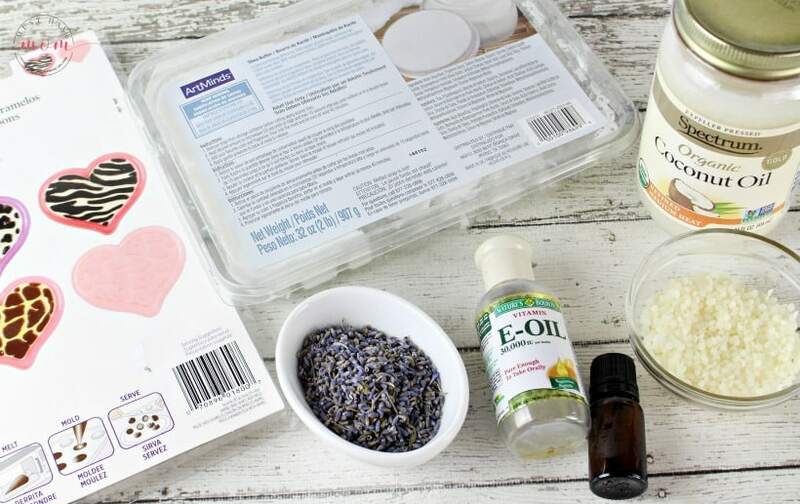 One of the best things about making your own lotion bars besides knowing exactly what is in them, is they last a longer than traditional bottles of lotion, they are mess free even when the kids are using them, and they really work. 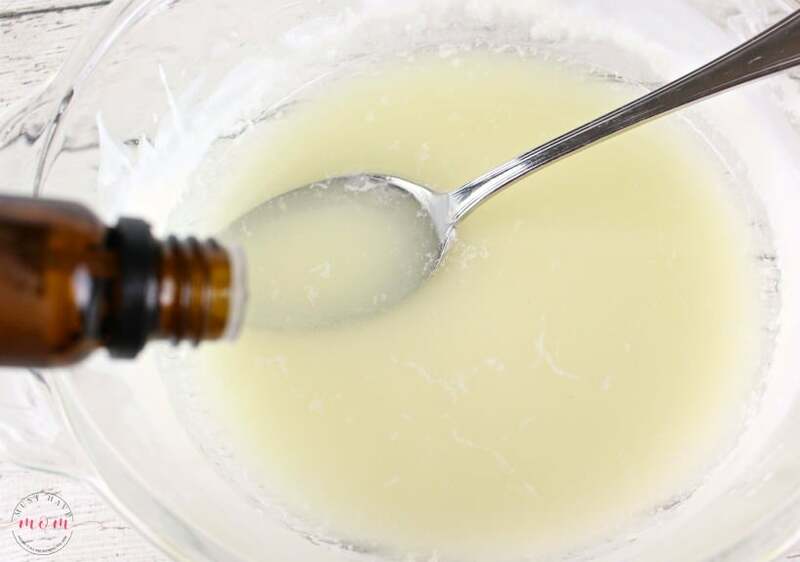 Coconut oil has long been used for skin care. It is naturally antibacterial and antifungal, and it is an excellent moisturizer. Adding it to your lotion bars gives you all these benefits! 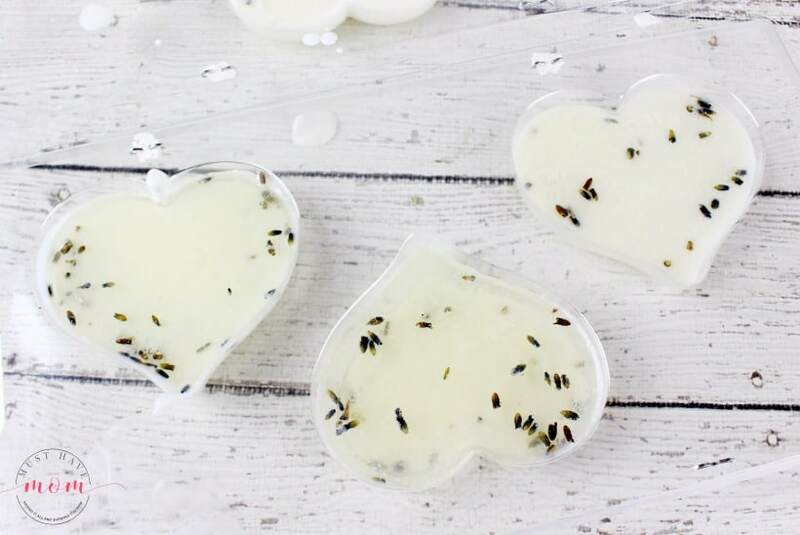 Lotion bars also make fun and easy homemade gifts. 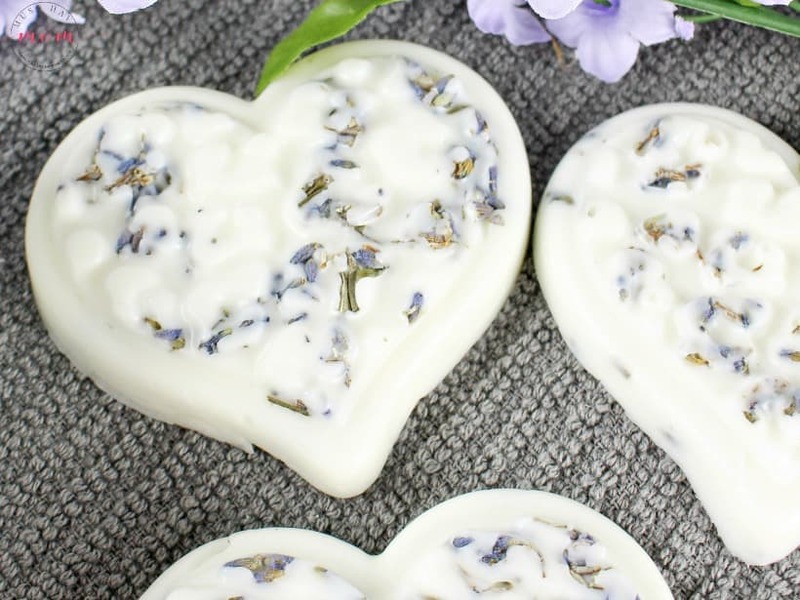 These DIY coconut oil lotion bars make great gifts for baby showers, birthdays, Mother’s Day, Christmas, or any other occasion you can think of. 1. 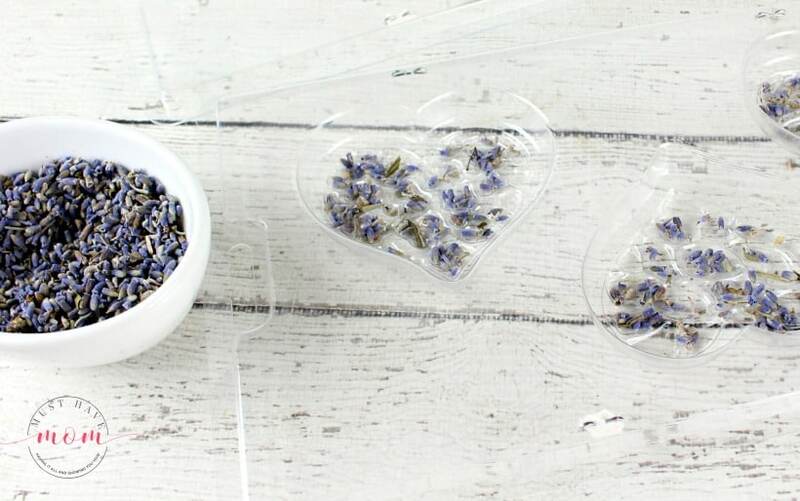 Sprinkle approximately 1/2 Tablespoon of dried lavender buds into the bottom of each heart-shaped mold. Set aside. 2. 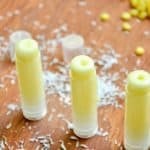 Place the coconut oil and beeswax pellets in a microwave safe bowl. Microwave on HIGH, in 20 second increments, until completely melted. Be sure to stir after each increment. 3. Add the shea butter to the melted oil and microwave on HIGH for an additional 20 seconds. Stir until completely melted. Because the oil was already hot, it won’t take long for the shea butter to melt. Then add the lavender oil to the mixture and stir it in. 3. Pour the melted mixture into each heart-shaped mold, filling up to the top. Allow to harden at room temperature for 4 hours or chill for 2 hours. 4. ENJOY!! 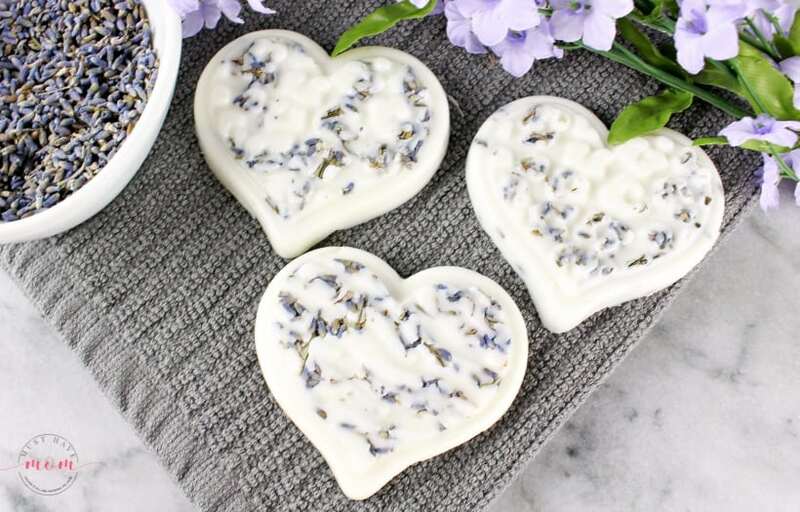 Rub in your hands to use your body heat to naturally melt the lotion bar slightly and moisturize your hands. Store in a pretty glass jar on the counter or in a tin for portability. 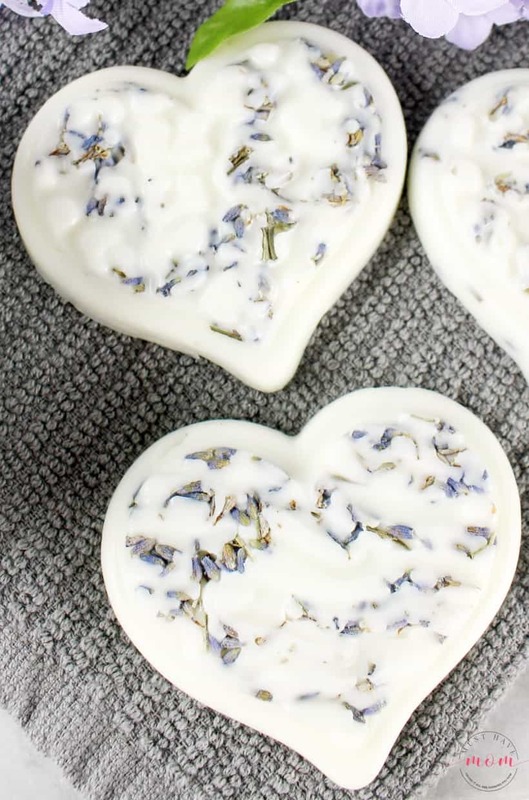 That is all there is to it and before long you will be enjoying your own DIY Coconut Oil Lotion Bars. Give them as gifts to teachers, neighbors and friends. 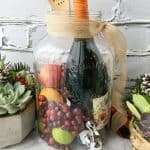 They are easy and inexpensive to make and are a meaningful and unique gift that everyone can use! Wrap in clear bags with a pretty ribbon for gift giving! What A Woman REALLY Wants This Christmas! 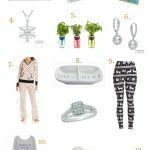 A Gift Guide To Inspire! DIY Travel Toothbrush Holder You Can Wash & Reuse! Let us know how you like them Vickie! 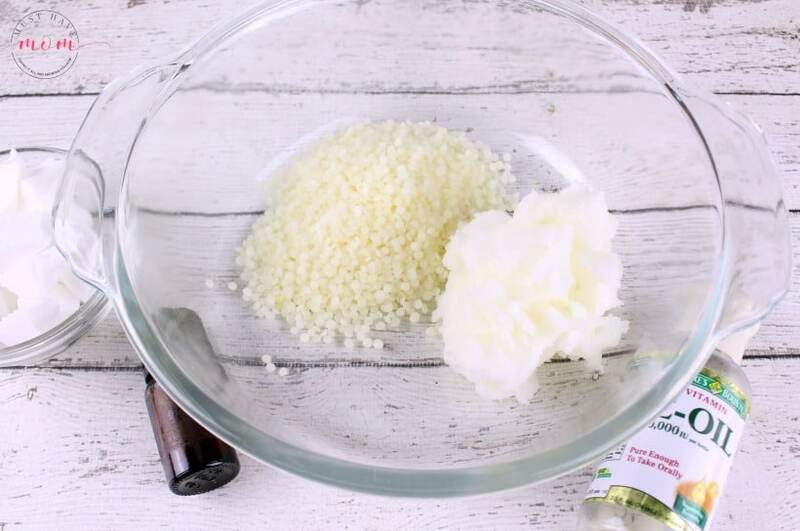 Hi Tina, this is the Shea butter I use: https://amzn.to/2V8huLQ Have fun making them! !